Welcome to Day 4 in the 31 Days of iOS. In yesterday’s article, we built our first iOS app! 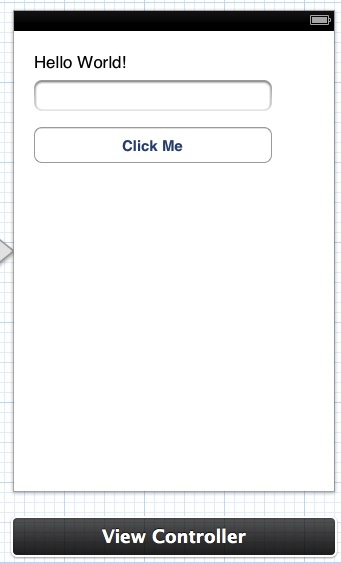 The app was simple and just allowed the user to enter some text, tap a button, and then update a label with the text. While simple, building this app showed a few important different areas of Xcode including your first look at storyboards and the Assistant Editor in addition to understanding where the entry point for an application is. Today we’re going to build upon what we created yesterday by adding a second view controller to our app and looking at a couple different ways to display it in storyboards. 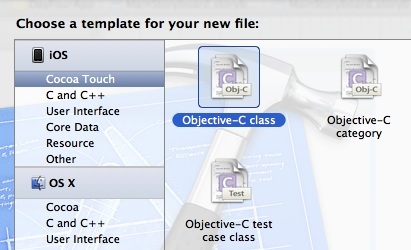 In a later article, we’ll talk about displaying a view controller from the code. You can download the code we’re going to start with (from yesterday’s article) here. If you’d like to follow along with the completed code, you can access it here. 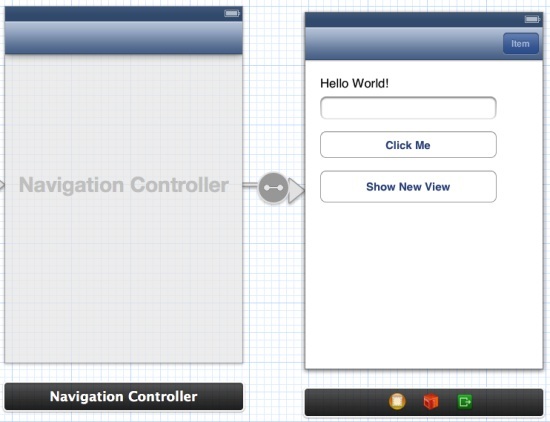 On the left you see the Navigation Controller that was created when we embedded our view in it. On the right is our updated view. Notice the blue bar at the top. 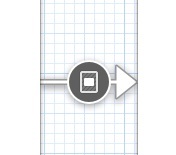 This is the Navigation Bar with the Bar Button Item at the top right (we left it’s Title as “Item”). 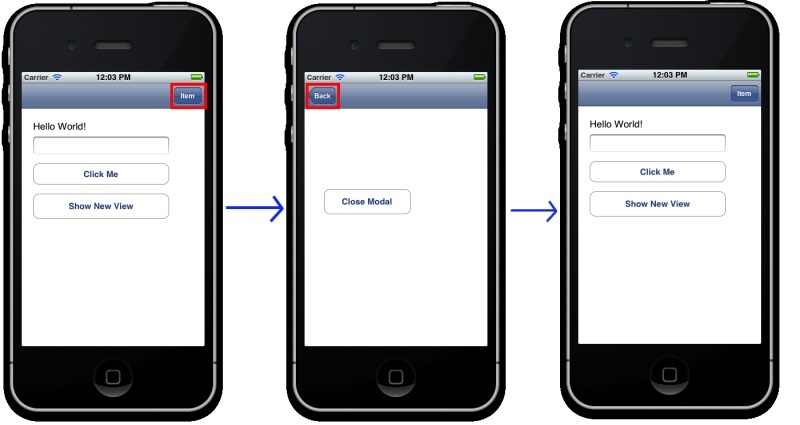 The three methods here are necessary when implementing a UIViewController. We don’t have to alter these at all to get the view controller to work. 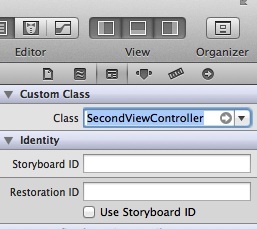 Let’s return to our storyboard and tie in the new view controller. The circle with the icon in it represents the segue. If you click on the segue and go to the Attributes Inspector at the top of the Utilities pane, you’ll see that you can give the segue an Identifier, change the style (if we didn’t actually want Modal we could switch it here), as well as change the type of transition (if we wanted to cross dissolve or flip horizontal) if you don’t like the default. We don’t need to change these for now, but the Identifier property will be used in a future article. Now if you run your app and tap on the “Show New View” button, the second view controller will load. Unfortunately, we haven’t included any way to close that view. Let’s do that now. 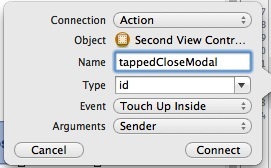 All we have to do is call dismissModalViewController on self (so on SecondViewController). Now when you run your app and hit the “Show New View” button, you should see the new button on the screen. Tapping that should return you to the first view controller. Then it would return to the first view controller just like when we push the Back button though it would no longer close the modal. Today we looked at two different ways to display different view controllers from storyboards: as part of a navigation hierarchy and as a modal. We also covered how to dismiss a view controller presented as a modal and one pushed onto a navigation hierarchy from our code. We’ll next look at how to programmatically present a view controller and how to pass data between our view controllers when we’re using segues and storyboards. You can download the final code for today from here.